We believe in the phrase "the proof is in the pudding." Below is a sampling of our past work. 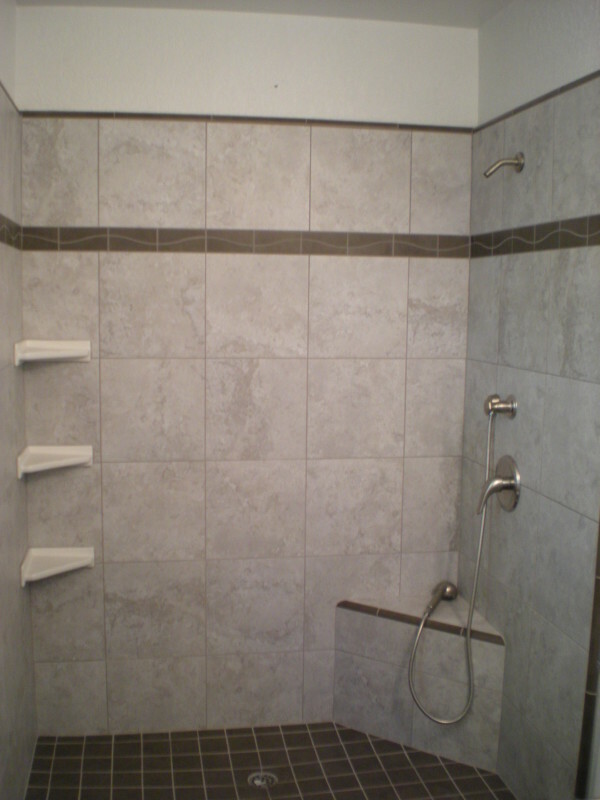 This project was one of those project that went well but with just one little quirk: it didn't come to us with matching shower pan tile. The home owner already had a vision for what they wanted, so that made our job easy. Our suggestion was to cut down tiles from the same series the customer had chosen for the wall but in dark chocolate to match the darker trim. Typically we like this size tile to be cut to approximately 4 inches by 4 inches. This size allows me to follow the slope towards the drain. The customer and we were very happy with the outcome. We think their new custom bathroom looks great!